Bearded Dragon Diet & Food: What Can Bearded Dragons Eat? The bearded dragon, or beardie as we all endearingly like to call it, is probably the most popular pet lizard of our times. The fact that bearded dragons are are omnivores – eating both insects and a wide variety of plant foods – might make you think that feeding them is a breeze. Still, let’s not jump to conclusions too quickly. That their diet has to change as they grow up and reach maturity. There are many more questions lurking, especially since you will hear a very wide variety of radically different advice in pet shops and online. Can bearded dragons eat meat? Should they have a lot of fruit or not? What are the right vitamin supplements for them? To help you out, I have studied the best practices of bearded dragon nutrition in great detail, and have poured all my knowledge into this hopefully helpful article. Let’s find out how to properly feed your pet dragon. What Do Bearded Dragons Eat in the Wild? In the wild, bearded dragons are omnivorous opportunistic predators. That means they will eat any prey that they can subdue, and those include insects predominantly. They will also eat a variable amount of available greens. Although there is no way you can exactly replicate their natural diet in captivity, there is no need to do so anyway. A range of easily available captive-bred feeder insects, leafy greens, vegetables, and some fruit are more than enough to give your pet beardie a balanced diet. What Food Can Pet Bearded Dragons Eat? Pet bearded dragons should have a balanced diet of insects and recommended plant matter. Many breeders will occasionally add a weekly pinkie mouse into the mix, but this should be done with caution. Baby and young beardies will eat predominantly animal protein, and the amount of plant food should increase as they reach maturity and age. There are two schools of opinion on the ratio of plant and animal foods that bearded dragons need in their diet. Baby beardies should eat about 80% of insects and about 20% of plant foods. Young adult beardies should switch to a 50-50% diet. Adult bearded dragons should eat the opposite of what babies eat – 20-30% of insects and 70-80% of plant matter. That recommendation is made on a quite logical assumption – since adult bearded dragons are much less active in captivity then they would be in the wild, they should eat less fatty foods to avoid getting overweight – and obesity is something bearded dragons are prone to in terrarium setting. Still, some owners struggle in the case their pet starts rejecting this plant-dominated regiment, which seems to be a common occurrence. On the other hand, other sources (such as The Complete Encyclopedia of Terrarium by Eugene Bruins) recommends 75% of insect protein through bearded dragon’s entire lifetime. Scarce scientific research on the diet of wild bearded dragons tells a story in line with this recommendation. The examination of the wild-caught specimens revealed that plant matter counted for only 16% of the overall stomach content. Insects represented 61 percent. The rest included pebbles and other debris, as well as some skink bones. The team concluded that “a diet of several insect species, supplemented with leafy vegetables (…) would best resemble the natural diet of P. vitticeps”. Still, the fact is that captive animals are far less active than their wild cousins. That is where the recommendation for plant-dominated diet comes from in the first place. If your adult beardie loves his greens, the plant-dominated diet will suit him just fine. However, I also believe that if your pet shows primarily carnivorous tendencies – if you balance the animal-plant food ratio to about 1:1, that won’t harm him either, as long as you stay away from high-fat staples such as mealworms, and give your pet some chance to exercise. Based on all the available information, you can choose what you believe will be the best for your pet beardie. Whats Insects Can Bearded Dragons Eat? You only have to be careful with mealworms, and especially wax worms, which have the highest fat content on the list and are meant to be served only as a treat. Beardies are known to readily accept dried/canned insects that are produced specially for reptiles. However, I would recommend this only as an occasional or emergency-case food. 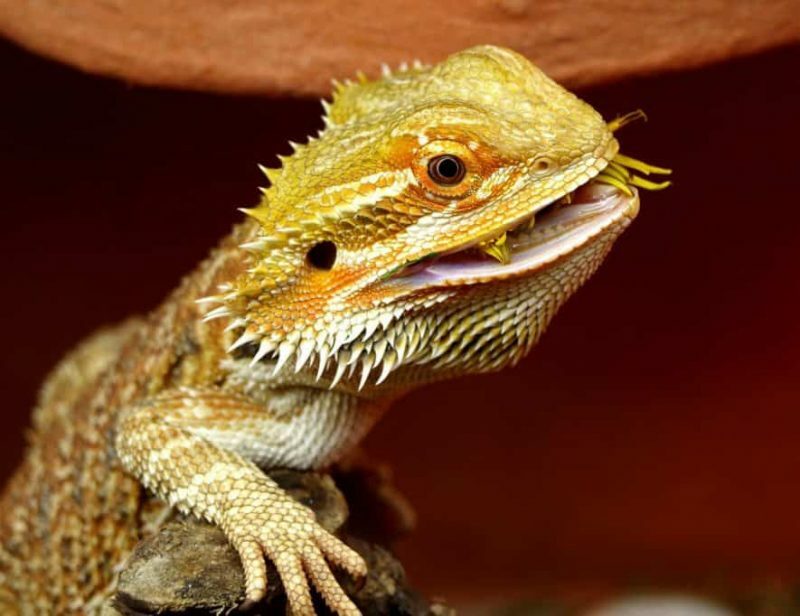 Bearded dragons need live insects to fully meet their nutritional needs. What Plants Can Bearded Dragons Eat? What Veggies Can Bearded Dragons Eat? At least everyone agrees about the ideal diet for diet for baby and juvenile bearded dragons. It should include 80% of insect foods, and the remaining 20% should be made up of plant matter – leafy greens and a bit of fruit. Since they have a rapid growth rate, baby and juvenile beardies eat a lot. They should be fed three to four times a day. As for the amount of food, give them all they can eat in 5-10 minutes. Baby dragons should eat everything that an adult does – only smaller. Use small and freshly molted mealworms, and small-sized crickets and roaches. Chop all greens, veggies and fruit finely. No piece of food should be wider than the space between baby bearded dragon’s eyes. Make sure to include greens as main plant food, because if you get them used to it when they are babies, there will be no issues in accepting greens later on as the share of plants in their diet increases. My Baby Bearded Dragon Is Not Eating? What To Do? If your baby dragon is not eating, the first thing you have to do is to determine the reason for this lack of appetite. Baby dragons get easily stressed by being held, and stress is one of the common reasons they will refuse to eat. You should let them grow to at least 10 inches (~25 cm) before holding them regularly. Check the temperature in the tank. Under the basking light, it should reach 105°F (40°C) to ensure proper metabolism. Many baby beardies are fussy when it comes to eating veggies. Try adding some worms in the leafy salad, as it will stimulate them to munch on the greens while they are trying to get the worms. If you are using loose substrate, replace it with paper towel immediately, and watch out for signs of impaction. Swallowing substrate and the subsequent impaction can be the reason behind some cases of food refusal. However varied your bearded dragon diet might be, he will still need vitamin and mineral supplementation to remain healthy. However, supplements should be used with caution in order to avoid overdosing. Let’s check out some of the main concerns when it comes to supplementation. Most commercially raised feeder insects are deficient in calcium. As for greens, the ability to absorb calcium from different plants may vary. That is why calcium is an essential supplement for your bearded dragon, and something you should dust your feeder insects daily for young dragons, and five times per week for adults. Some recommend dusting salads rather than insects since the powder won’t fall off the leaves as easily. I encourage you to give this approach a try, but if it causes even more resistance to eating greens, stick to insects. For proper metabolism, it is important to always strive for 1:1 calcium to phosphorus ratio. If you study the nutritional charts, you will notice that many foods, especially feeder insects, have an unbalanced Ca : P ratio. That makes calcium supplementation even more important. For your bearded dragon to metabolize calcium, he will need sufficient doses of vitamin D3. Vitamin D3 is actually a hormone-like substance which synthesized by the body when it is exposed to sunlight – that is one of the reasons that diurnal lizards bask so often. In the terrarium circumstances, you will provide a UVB bulb to make up for the lack of direct sun exposure. You should also take your pet outside sometimes so he could bask in the natural sunlight. Using vitamin D3 as a supplement for bearded dragons is somewhat controversial. You will come across a lot of claims that bearded dragons can’t really use vitamin D3 from supplements well, and some research data shows that they might be truthful. If your bearded dragon never has access to the outside sun, include calcium with D3 to satisfy his needs. However, don’t dust the feeder insects with calcium + vitamin D3 supplement on a daily basis. Iron is an element that might be lacking in your beardie’s menu. The question of iron is somewhat tricky. A lot of dark leafy greens such as kale, spinach and charts contain desirable levels of it, but at the same time, they contain high amounts of dangerous oxalates. Also, iron supplements cannot be sprinkled liberally, because of the risk of an overdose. The best way to ensure sufficient amount of iron is to dust food with a supplement (iron can be found within multivitamins) once or twice per week, plus to add a small amount of tolerable dark leafy greens, such as kale or collard, to his menu. Never give your bearded dragon red meat to boost the iron content of his meals (see FAQs >). Vitamin A is very commonly seen in many vegetables and leafy greens in the form of beta-carotene. Within the body, beta-carotene is converted to vitamin A as needed, and the excess is flushed out. However, the synthetic vitamin A cannot be stored within the body in this “safe” form. In the case your beardie already has his vitamin A needs met, an additional synthetic supplement can cause vitamin A poisoning. It occurs when bearded dragon receives 10,000 IU/kg of the synthetic vitamin A. To stay safe, use reptile multivitamins that not overly high in vitamin A, or contain beta-carotene instead of the synthetic version. On the day you sprinkle food with the multivitamin powder, avoid giving your beardie food that is really high in vitamin A. How to Feed a Bearded Dragon? Never feed your bearded dragon food items larger than the space between their eyes. This is very important since feeding larger insects or pieces of veggies can cause serious health issues – from paralysis and lack of motor control to gut impaction, and even death. Always feed your dragon fresh foods. Offering fresh plants and live insects is the only way to ensure proper nutrient and water content in your beardie’s meals. Plant food should always be fresh, finely chopped, and just washed – the water that remains on the leaves will provide additional water for your beardie. Have your beardie’s first feeding be in two hours upon switching on the lights, and the last one two hours before switching them off. They need to be warm to digest their food. You can let your beardie hunt their prey feely, or offer it with specialized tweezers. Allowing them to chase the prey around will keep them active and in good shape, but having tweezers around is helpful in the case you have to hand feed for any reason. Also. If you have loose substrate in the terrarium, always offer prey in a feeding dish. Swallowing the substrate can and will cause impaction in bearded dragons, which can lead to complicated medical procedures and death. When your beardie loses interest in eating, remove the remaining food from his tank. Don’t save it in there for later. As a general rule, you can offer insects in variable portions six days per week. On the seventh day, offer only vegetarian meals. Vegetables should be provided 4 times per week. This pyramid of nutrition offers more precise details on serving different types of food. How Much and How Often Do Bearded Dragons Eat? How much to feed your bearded dragon is always a subject of debate. Some sources even offer complete menus, with the precise number of feeder insects and grams of vegetables. However, I believe that you should give your lizard as much food as he can eat. Unlike other pets (or humans), lizards don’t have behavioural problems that lead to food obsessions and binge eating. When he is full, he will stop. As long as you are supplying him with recommended foods of appropriate size, there shouldn’t be any issues with obesity. As for the number of meals for bearded dragons, young should have four, and then three meals per day. When they grow up, they can be fed once or twice per day. Females which carry eggs (fertile or infertile) should not have less than two meals, although note that they may lack appetite during the period of egg carrying. How Do Bearded Dragons Drink Water? Since bearded dragons originate from arid regions, they have evolved to get most of their water through food – especially the juicy plant matter. However, fresh and clean drinking water should always be available to them in a shallow tray. If the water tray is wide enough, many bearded dragons will enjoyably soak themselves in it. The behavior shouldn’t be discouraged since it is one of their strategies for rehydration. The only downside to these daily baths is that they often encourage beardies to empty their bowels into the water – which is good for their digestion, but not-so-great for your list of daily chores. Sometimes you will have to change the water a few times a day, but if it makes it any easier for you – it means your beardie is happy and healthy. You can and should give your bearded dragon a warm soak outside of the terrarium now and then, especially in the days he seems tense or fussy about food, and you are not sure he is getting enough water from his food. Soaks will help him keep hydrated, relax their muscles, and help with digestion. Bearded dragons also like misting, and they will lick drops from their noses and the tank glass. Just be moderate with misting because you do not want to raise the humidity of your arid desert tank. You can put a drop of water on their nose anytime you think they could use a drink. This is a fun activity that will bond you with your pet. There is a long list of reasons why your beardie might not be eating. Some of them are concerning – illness, constipation, and other digestive issues or stress. Others are normal, such as adjustment to the new environment, or the cyclical resting period – brumation. Yes. Apples are perfectly safe for bearded dragons and other reptiles to eat. They provide good hydration, and they are rich in vitamins such as the vitamin C.
Yes, but only rarely. Bananas are very high in sugar and not so rich in water. Can bearded dragons eat blackberries? Yes. Blackberries can occasionally be offered to your beardie. Make sure to give just a small amount the first time, to see how digestion goes. Can bearded dragons eat blueberries? Yes. As blackberries, blueberries can be offered as an occasional treat. Can bearded dragons eat cantaloupe? Yes. Cantaloupe can occasionally be offered to your bearded dragon. It is high in Vitamin A. Yes. Grapes can be served as an occasional treat. Grape leaves are also edible and a good addition to the diet. Can bearded dragons eat raisins? No. Unlike grapes which are rich in water, raisins are dry and the sugars are too concentrated. Do not offer them to your beardie. Yes, in theory, but personally, I would avoid it because of the high acidity and high oxalate content. Can bearded dragons eat mango? Yes, your bearded dragon can have an occasional slice of raw mango. Mango is moderately high in oxalates and high in vitamin A. Can bearded dragons eat oranges? No. Bearded dragons shouldn’t eat any citrus fruit, oranges included. They are too acidic. Can bearded dragons eat pears? Yes. Pears can be one of the regular fruits on your beardie’s menu. Slice them into small thin pieces before serving. Can bearded dragons eat strawberries? Yes, bearded dragons can eat, and usually love the juicy strawberries as a fruit treat. Give them a good wash and chop them finely before serving. Yes, bearded dragons can have an occasional watermelon chopped into slices. Can bearded dragons eat pineapple? Yes, but only occasionally. Offer them carefully to see how the digestion will be affected. Can bearded dragons eat asparagus? Yes. Asparagus can be one of the occasional veggies on your beardie’s menu. Serve him the upper, more delicate parts of the plant, finely chopped. No, never. 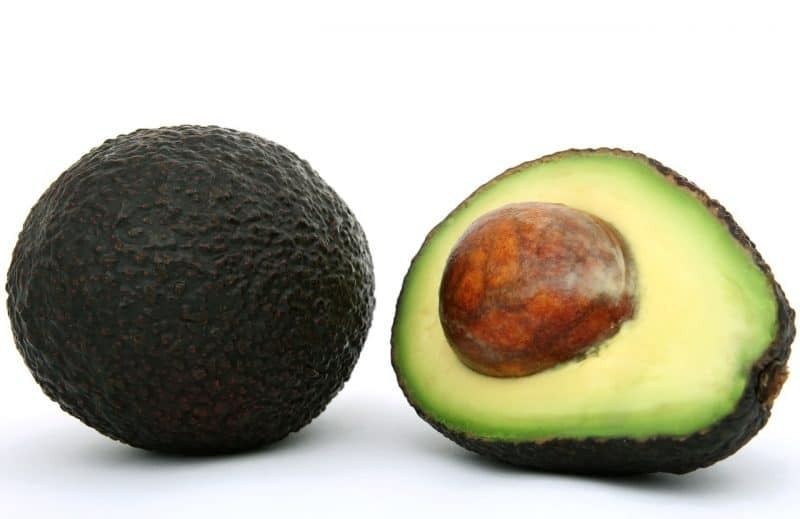 Avocado is toxic to reptiles and birds. While the quantities your pet dragon has to eat to poison himself are not precisely known, you should never risk even with one slice of this popular fruit. Can bearded dragons eat bok choy? Yes, occasionally. Never make bok choy a green staple though. Can bearded dragons eat brussel sprouts? Can bearded dragons eat carrots? Yes, bearded dragons should finely cut into thin circles (or quarters of circles). Note that carrots are high in vitamin A and moderately high in oxalates. Can bearded dragons eat celery? Yes. Bearded dragons can eat both celery sticks and leaves. It is important that you wash them well and cut them to the right size. Since celery is often heavily sprayed with pesticides, if you have the opportunity – go for the organic celery. Can bearded dragons eat chard? Avoid it. Chard has a really high oxalate content, so it should be treated the same as spinach. Yes, beardies can have an occasional broccoli, raw or steamed. Can bearded dragons eat cucumbers? Yes, occasionally. Cucumbers have low nutritional value but contain a lot of water – a good thing if your beardie doesn’t like to drink water directly. Can bearded dragons eat peas? Yes. Peas, and especially snow and snap peas (which can be eaten with their pods) can be one of the more regular veggies in your beardie diet. Can bearded dragons eat green beans? Yes. The same thing that goes for peas goes for green beans as well. Can bearded dragons eat green onions and onions? No. You should never feed your lizard onions, green or mature. They are potentially toxic. Can bearded dragons eat kale? Yes, but rarely. Kale is rich in calcium, iron and other useful minerals, but it has a significant amount of oxalates, which may harm a bearded dragon in greater quantities. Can bearded dragons eat peppers? Yes. Bearded dragons can occasionally eat sweet red or bell peppers. They are high in vitamin C and water, but also moderately high in oxalates. Never feed bearded dragons hot peppers! Can bearded dragons eat potatoes? No. Bearded dragons should never eat raw potato. Cooked one is an option, but may also contain toxins that are present in many parts of a potato plant. Unlike in the case of humans, these concentrations may harm reptiles. Can bearded dragons eat red cabbage? Yes, beardies can have an occasional slice of cabbage, but it shouldn’t be made a staple. No. Because of its high oxalate levels (which blocks calcium absorption), and frequent treatment with pesticides, spinach is not recommended for bearded dragons. Can bearded dragons eat squash? Yes. Bearded dragons readily eat all types of squash, and it is one of the preferred vegetable foods for bearded dragons. Squash can also be offered to beardies who are squeamish about plant foods as an icebreaker. Can bearded dragons eat mushrooms? No. They are too high in phosphorus, hard to digest, and some mushrooms have compounds which are toxic to bearded dragons. Can bearded dragons eat zucchini? Yes. Zucchini is one of the plant foods readily recommended for bearded dragons. Just be aware that they are quite high in phosphorus, so always balance out with calcium. Can bearded dragons eat lettuce? No. Lettuce such as iceberg is not recommended as beardie food because it mostly contains water and fibre, and not many other nutrients. Can bearded dragons eat mustard greens? Yes. Mustard greens are recommended as one of the daily green staples for bearded dragons. Can bearded dragons eat arugula? Yes, you can offer arugula to your beardie occasionally, but be aware that it is high in vitamin A and it tastes bitter. Can bearded dragons eat dandelions? Yes. Dandelions should be one of the leafy staples in your dragon’s diet. Offer leaves (preferably young ones) and an occasional fresh flower top. Can bearded dragons eat basil? Yes. Basil is safe for bearded dragons to eat, and can be served occasionally. Can bearded dragons eat cilantro? Yes, cilantro is safe for bearded dragons. Use younger leaves that are easier to digest. Can bearded dragons eat grass? Grass is notoriously difficult to digest. The animals that have evolved to get their nutrition out of it have extremely complicated digestive tracts. Neither humans nor bearded dragons can’t benefit from eating grass. However, if you let your beardie to (safely) run around in your yard, you might catch him snacking on grass. While an occasional grass snack shouldn’t harm your pet, the behavior shouldn’t be encouraged, and of course, your dragon should be allowed to roam in a pesticide-free area only. Yes, as a treat – and only the ones that have been bred for this purpose. Do not use bait shop worms, or the ones you dug out yourself, to avoid exposure to parasites and other hazards. Yes. Hornworms are readily recommended as regular beardie food diet. They have good calcium ratio and have low fat and high water content. They are very green and usually highly attractive to lizards, so if you have a beardie that refuses to eat, try bribing him with a hornworm. Yes, but in moderation, which especially goes for the adult dragons. While bearded dragons will gladly eat them, mealworms shouldn’t be their staple food. They are fatty, have poor calcium to phosphorus ratio, and they have quite hard outer shells, making them harder to digest than some other types of larvae. Still, feel free to offer the freshly molted, white mealworms to young beardies more liberally. Despite their faults, mealworms are the easiest species of feeder insect to raise at home, so every lizard owner should always have a small colony at hand. Can bearded dragons eat wax worms? Yes, but only in as a treat. Wax worms are the bacon of the insect world – tasty and craved by the lizards, but too fatty to eat as a staple. You can also use them to bribe a beardie that has lost his appetite. Can bearded dragons eat ants? No. Ants are full of the nasty formic acid, which they also spray in self-defence. Many lizards in the wild will try to eat an ant once in a while, but only the highly specialized lizard species – such as horn lizards – can eat ants. Can bearded dragons eat fireflies? No. Fireflies and other phosphorescent insects are highly toxic to bearded dragons. Even a single one consumed can kill your bearded dragon. Can bearded dragons eat spiders? No. All spiders harbor some kind of poison in their teeth glands, and they can harm your lizards. Don’t fall into the temptation to try and feed your beardie spiders. Can bearded dragons eat stink bugs? No. True to their name, stink bugs really do stink, which will deter most of the predators. Also, the aromatic chemicals may cause burning, and the fact that stink bugs are so resistant to pesticides makes them potential pesticide carriers. Definitely avoid stink bugs. Can bearded dragons eat moths? You shouldn’t hunt for wild moths to feed them to your bearded dragon. Moths can carry pesticides, parasites, and some also have defensive chemicals which can harm your pet. They are also not very nutritional. However, if you have a lid with a wire mesh on your terrarium, it may happen that a moth will fly in (attracted by the lightbulb) and that your beardie will hunt it and munch it down with pleasure. That is usually nothing to worry about. Can bearded dragons eat meat? No. While the exact effects of red meat on bearded dragon health is not known, it is clear that it contains too much fat, as well as phosphorus – the amount that effectively blocks calcium absorption. Also, feeding raw meat increases the risk of your pet lizard catching and then harbouring salmonella, which can harm you and your family down the line. Can bearded dragons eat chicken? No. The effects of chicken meat on bearded dragons have not been well researched. However, all that I said about other types of meat can be applied to chicken as well. Can bearded dragons eat fish? No. Fish hasn’t been researched as bearded dragon food, so the effects on consuming fish on their health are not known. Considering that beardies live in dry grasslands and deserts, it is highly unlikely they would ever come across a fish in their natural habitat – definitely not a natural food for them. Can bearded dragons eat eggs? Yes, but in moderation. The high nutrient density of eggs and the fact that carnivorous and omnivorous reptiles opportunistically feed on various eggs in their natural habitats makes them a good occasional supplement to your beardies’ regular menu. Serve them boiled to avoid the risk of salmonella. No. Due to the high salt content, additives and other ingredients, bread shouldn’t be regularly given to bearded dragons or any other pet animal. However, it can be good for hiding medication in the case your beardie needs it. Are there plants that are poisonous to bearded dragons? In the case you missed it up to this point – avocado and rhubarb are also toxic to bearded dragons. As you have hopefully learned, securing a proper diet for bearded dragons is no laughing matter. However, it is not difficult to do either if you do your research well. Most of the foods that beardies should have are commonly available, so you just need good planning and a bit of practice to get the hang of it. With good information and common sense, you will create a perfect beardie menu in no time. How do you feed your bearded dragons? How much plant food do you give them? And last, but not unimportant – what do your pets love to eat the most? Let us know in the comments. Oxalates – naturally occurring anti-nutrients which ensure protection from predation to many species of plants; they are especially present in dark leafy vegetables such as chard and spinach. 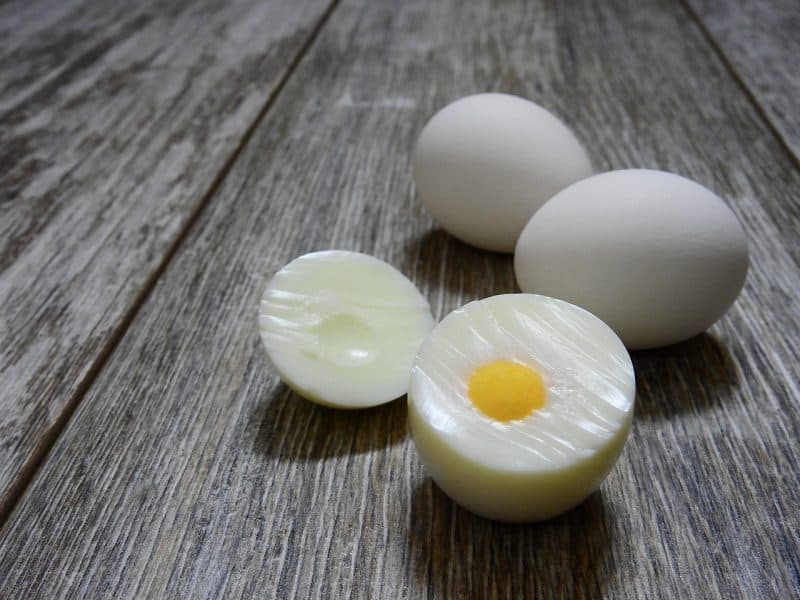 Salmonella – bacteria whose strains are the most common cause of food poisoning; it is contracted through consuming or unsafely handling live meat and fresh eggs. Reptiles can harbor Salmonella in their bodies without any symptoms, so they can be potential carriers of the disease. Staple Food – a certain type of food that is eaten really often and in significant quantities, such that make it dominant in a diet. Thank you for your detailed guidance on the bearded dragon foods. I’ve always pets but from another kind namely ‘ mammals ‘ and now I have two bearded dragons ( from their 3rd weeks old). They are one month now and eat crickets, super worms, and some vegetables. Is super worm good for them or mealworm? They eat superworm twice in a week but cricket for 4 days and vegetables every day at the end: 2 hours before switching off their lamps.